The Swiss are known for their watch-making, heavenly chocolates and excellent banking, and pharmaceutical enterprises. They are not known for being a factor in the Automotive Industry because they do not produce complete motor vehicles. However, when you take a closer look at what they do provide, you might come to the conclusion that almost every vehicle that you see driving around does have some kind of Swiss technology. Switzerland based companies play a big role in the supply of automotive parts and goods needed for the production of vehicles. A rather high number of people are employed in the Swiss Automotive Industry which shows that the importance of this industry has been largely underestimated. 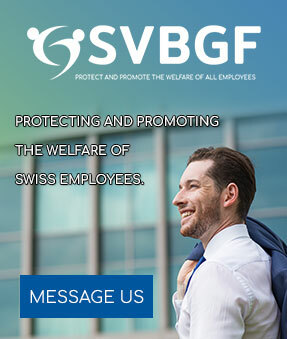 At SVBGF, those employees are our work. As an Association for Employees, we are the voice and advocate for our members and ensure that their working environment adheres to labour law and company rules and regulations. All companies expect their employees to be efficient, flexible, highly qualified, healthy and fit. To achieve that, employees need their employers to take note of their concerns, problems and interests. Finding the right channels to work through, to get the right people to pay attention to employees’ needs, are sometimes difficult. And this is what we do; we advocate these concerns and voice the problems of employees. We are committed to our members. As an Employee Association, we are looking out for the best interests of our members.